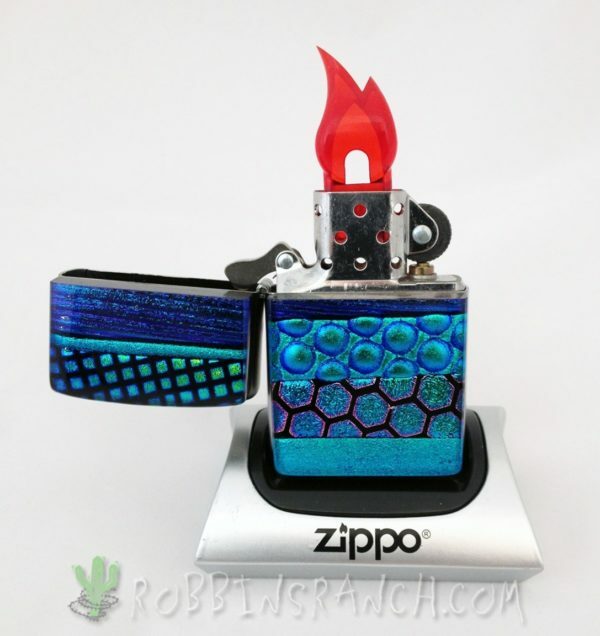 A one of a kind idea inspired by a customer who has hundreds of Zippos. 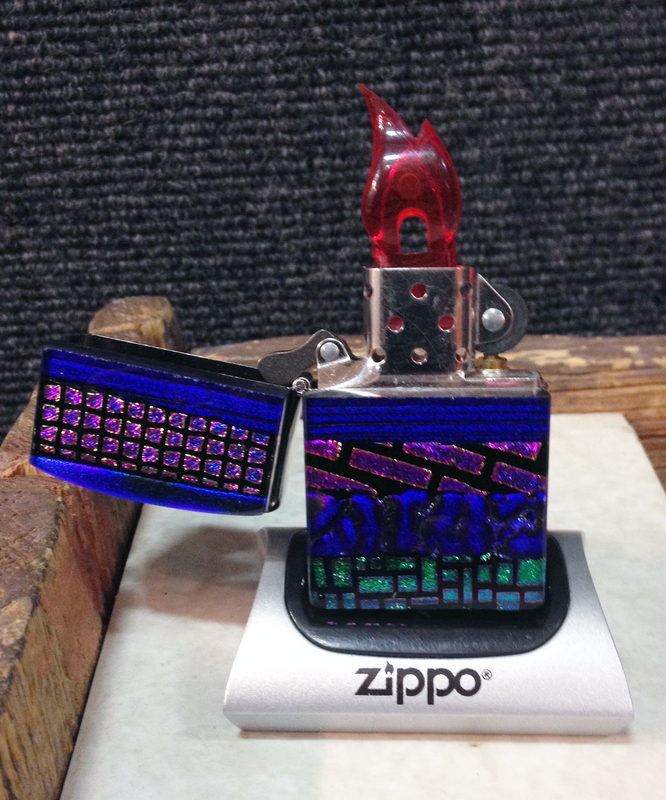 No collection is complete without our newest addition, a Dichroic Zippo lighter! 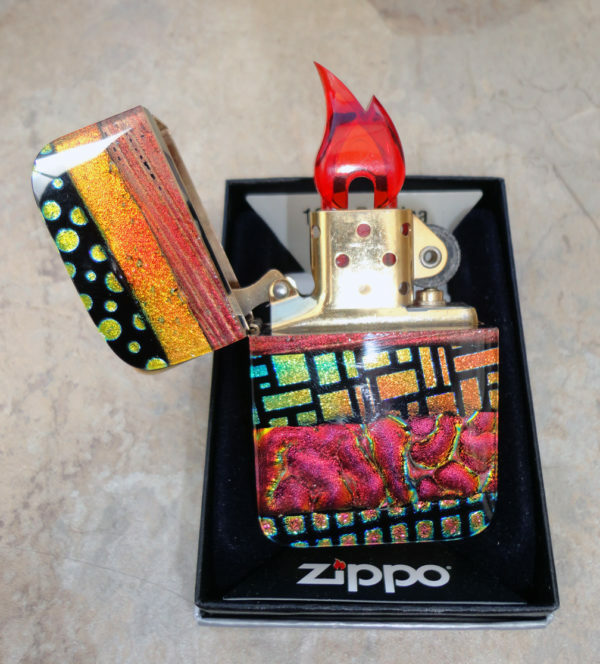 A purse, pocket or table lighter, these unique pieces are durable, fashionable, functional art. They are available in a palette of either warm or cool dichroic glass colors. 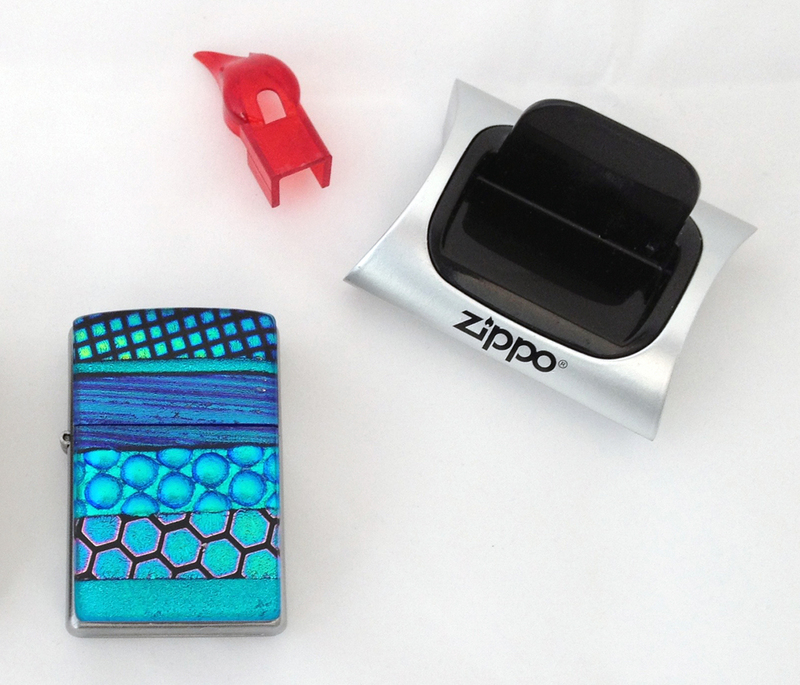 Magnetic stand and plastic flame are included with each lighter purchase. Please call or email us for images of the current zippos in stock. 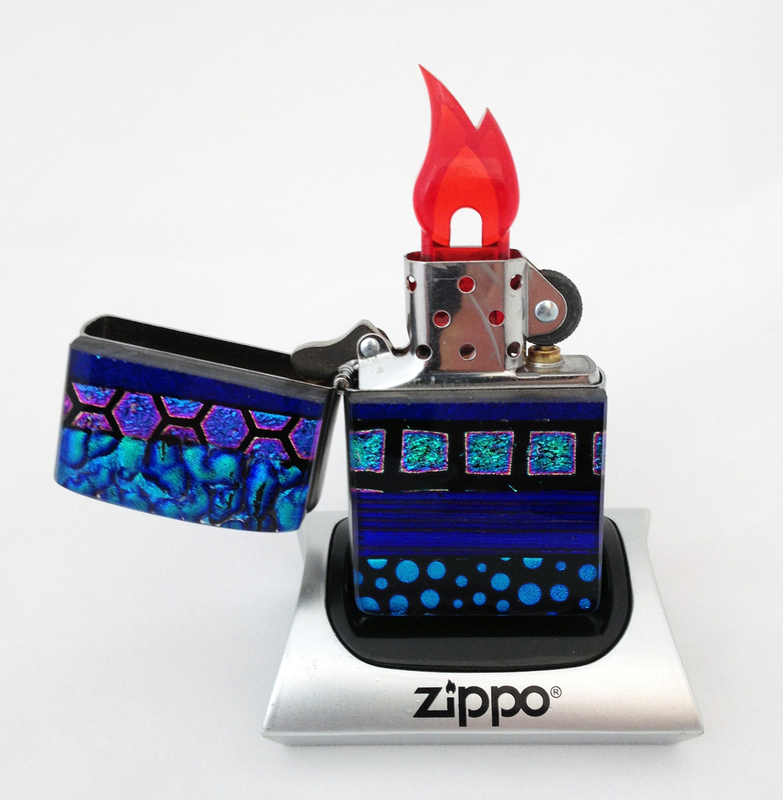 These dichroic glass lighters can be filled with lighter fluid and used like any other Zippo.